Petron Supercars are back for 2017. Collect them all! 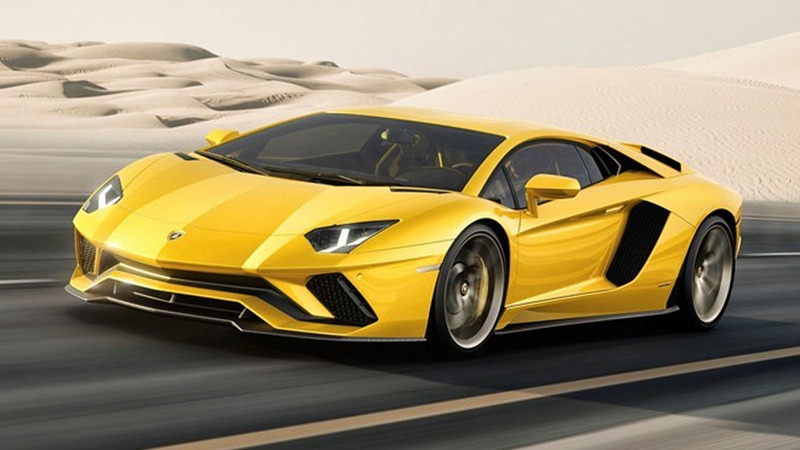 Who doesn't want to own a supercar? The thrill of speed and the magnificent sounds that their high-horsepower engines create will make even the most jaded car guy (or girl) giddy. Well, you can stop dreaming now because Petron is making owning a supercar a reality—except it's happening in 1:24th scale. That's right, the Petron Supercars are back for 2017. But you had better act fast because the promo is ending real soon. 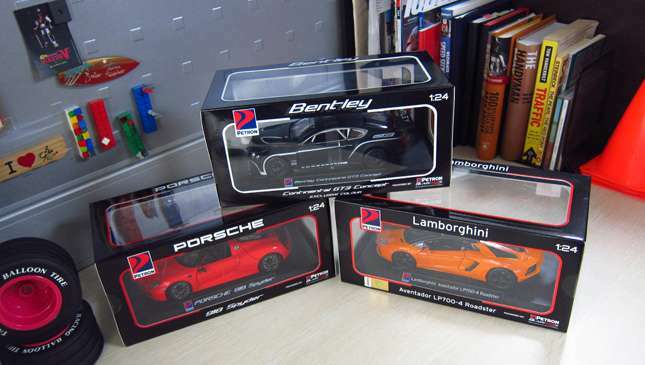 The Petron Supercars Collection is available at 700 participating service stations nationwide. 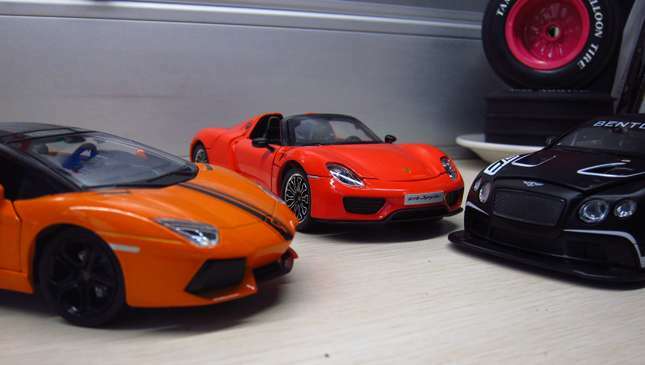 Collectors will love the Porsche 918 Spyder in red, the Bentley GT3 Continental Concept in black, and the Lamborghini Aventador LP700-4 Roadster in orange. 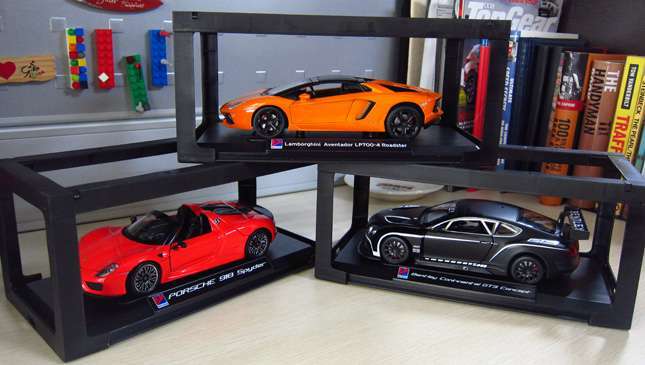 The Petron Supercars 2017 collectibles are licensed originals and come in a five-side, see-through display box that will look right at home on your desk or in your car-collection cabinet. 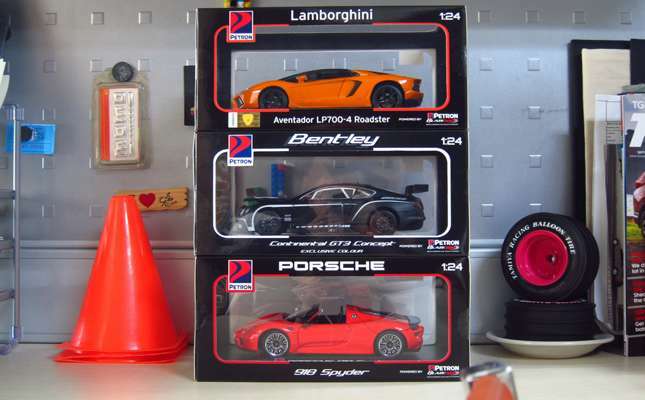 These are larger scale 1:24 models, made from high-quality die-cast metal with detailed parts. 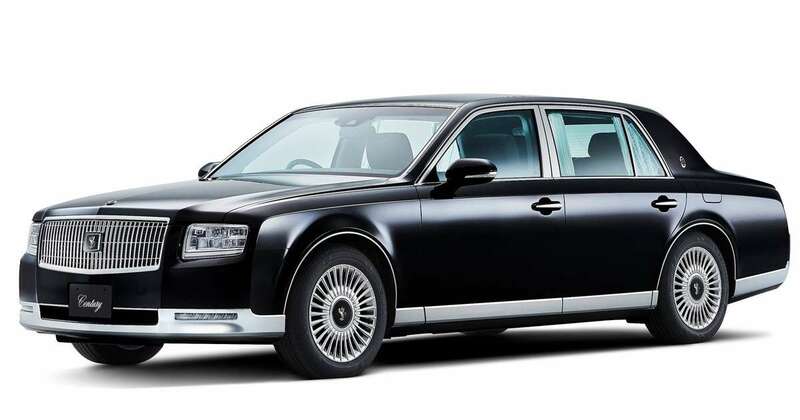 Features include door-opening alarm sounds with lights, as well as hood press-activated start-up with revving and acceleration sounds. Every supercar has to make those glorious sounds! Trust us, your kids will love these features—if you let them play with these models. Please remember that it's good to share, guys. 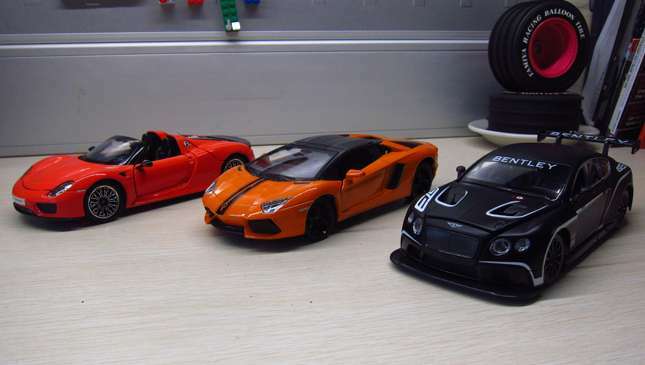 These Petron Supercars are really quite detailed, and as you can see from the photos, they are accurate, inside and out. The steering wheels also move along with the front tires. 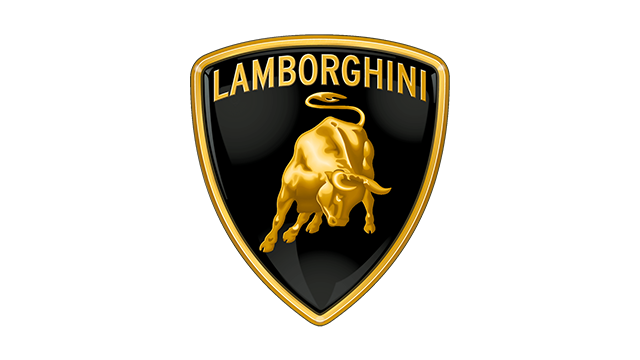 Our favorite has to be the Lambo, though. Check out those doors. And when you peek under the engine hatch, the detail is quite legit. Is your mouth watering yet? Here's how to get your hands on these babies according to Petron: “To complete your Petron Supercars 2017 Collection, all you have to do is fuel up with Petron Blaze 100 Euro 6, Petron XCS, Petron Xtra Advance, Petron Turbo Diesel, and Petron Diesel Max, or protect your engine with Petron Ultron, Petron RevX, or Petron Sprint 4T. 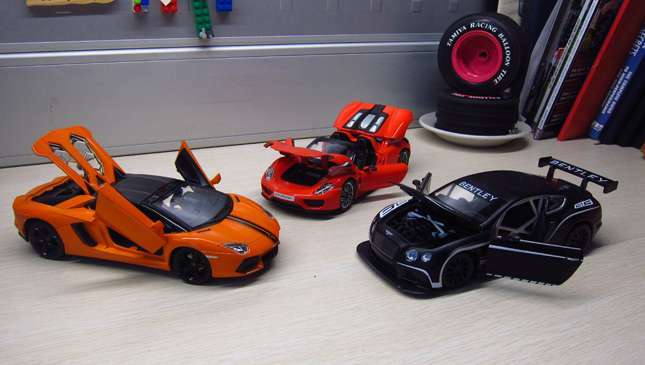 Every P500-worth of single or accumulated receipts entitles you to purchase one Petron Supercar toy car for only P700. The promo runs only from September 20 to October 6, 2017, so be sure you don’t miss out on this opportunity to update your Petron Supercars Collection. Visit www.petron.com or the official Petron Facebook page for full details."